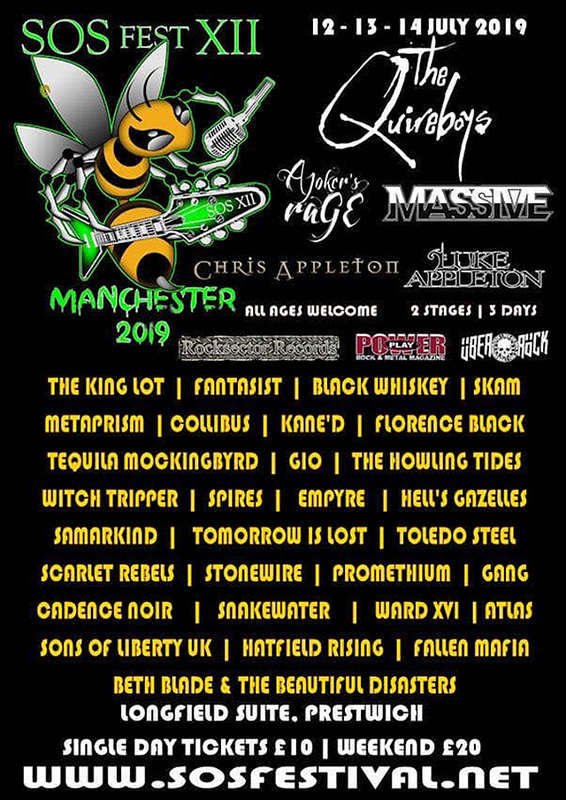 Share the post "News: SOS Festival features THE QUIREBOYS, A JOKERS RAGE, MASSIVE (Manchester, 12-14 July 2019)"
The 12th annual SOS event will take place at Longfield Suite, Prestwich, nr. Manchester 12-14 July. 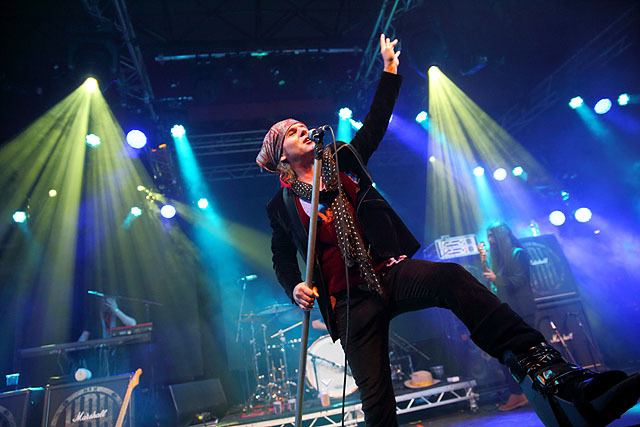 Headliners include The Quireboys (pictured), A Joker’s Rage and Massive. A separate acoustic stage will include performances from Luke Appleton (Iced Earth/Absolva) and brother Chris (Absolva, Blaze Bayley). The event is complemented by a “metal market” with clothes, jewellery and wares, and a wide range of ales, wines and hot food. Free parking, and free for kids under 12. Prices are the same as in 2018…. This entry was posted in All Posts, Festivals & Large Events, NEWS and tagged 12-14 July 2019, A Joker's Rage, hard rock, Longfield Suite, Massive, metal, nr. Manchester, Prestwich, Quireboys, SOS Festival. Bookmark the permalink.